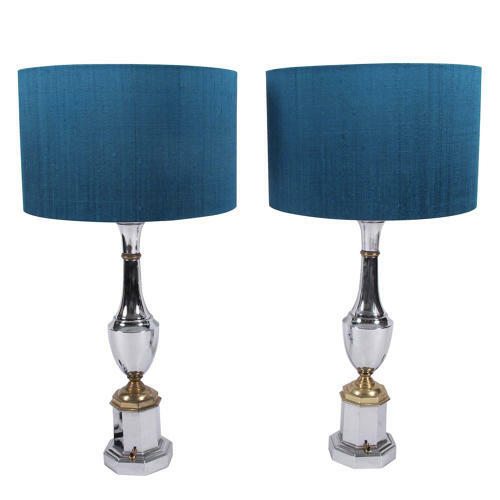 A pair of chrome and brass table lamps in an urn and plynth shape. Some patina to the brass sections. With hand made silk shades. Height to the top of the lamp shade. Re-wired.